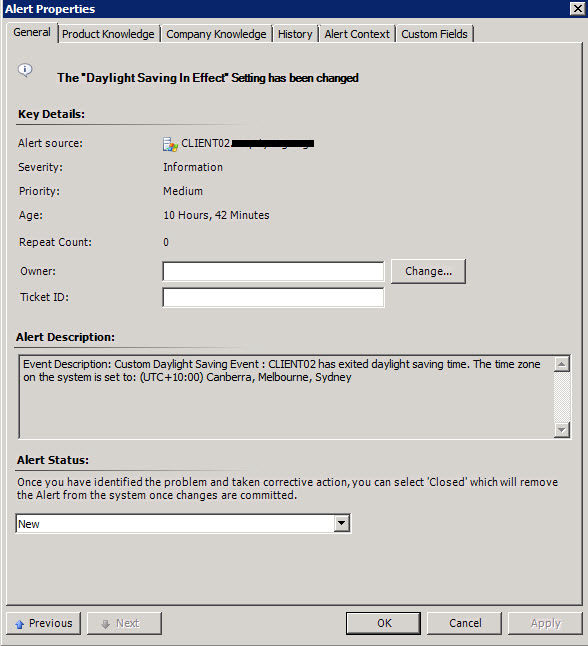 I wrote this management pack to detect system time changes that are caused by daylight saving. It’s called “Custom Daylight Saving Detection”. When supporting a infrastructure that has servers across the globe, it is hard to keep track of daylight saving schedules for all time zones. 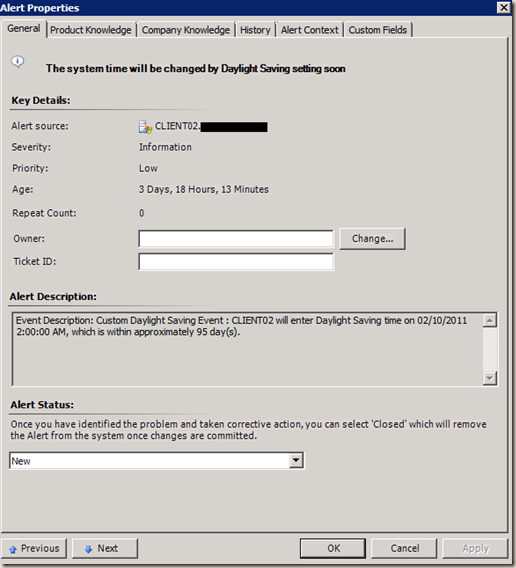 There is a requirement that we need to be notified when the Windows servers have entered/exited daylight saving time. 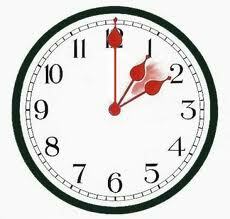 the agent computer has entered / exited Daylight Saving time. 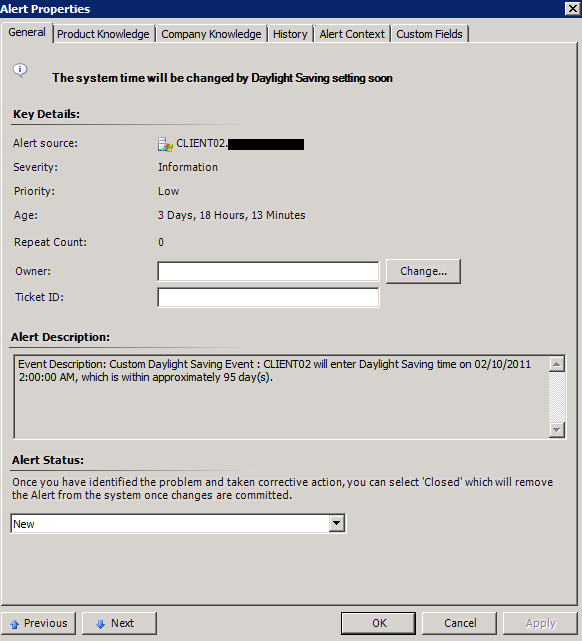 the agent computer is entering / exiting Daylight Saving time within a configurable number of days (default is 10 days). 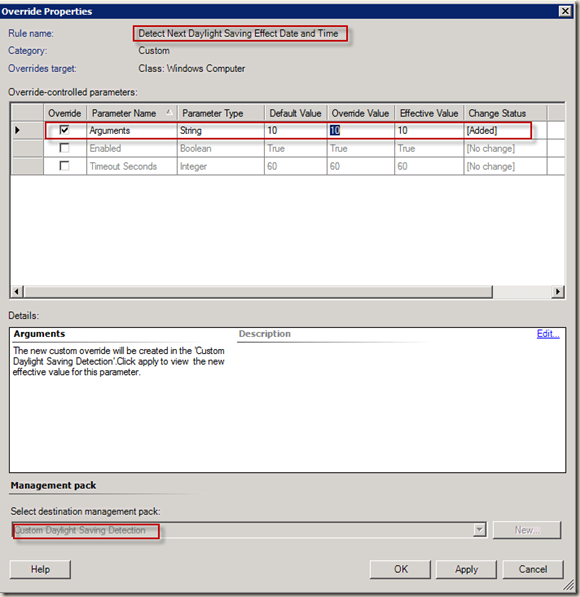 The script inside this rule retrieve DaylightInEffect value from Win32_ComputerSystem and compare it with the value previously saved in <OpsMgr Agent Install Dir>\CustomDST_MP.Control file. If the current value and the previous value are different, a event with event ID 9999 is logged in Operations Manager event log and CustomDST_MP.Control file is updated to the current value from WMI. This rule only runs during the weekend because daylight savings don’t happen during week days. 1. If CustomDST_MP.Control file does not exist, the script creates it and store the Current DaylightInEffect value in it. therefore there is no pre-configuration required on agent computers. 2. If the script detects the time zone is not impacted by daylight saving, it will skip to the end of the script and CustomDST_MP.Control file is not created on the agent computer. 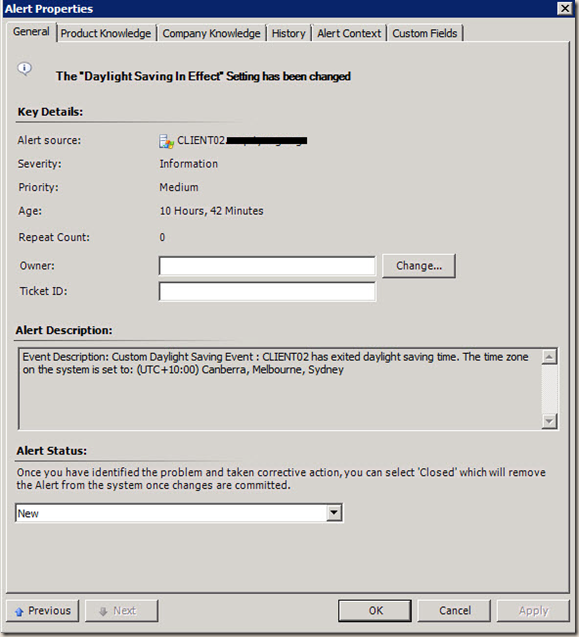 Description: The script inside this rule detects when (exact date and time) is the agent computer entering or exiting Daylight Saving time. if it is within the configurable number of days (AlertDayRange, the default is set to 10 days), an event with event ID 9998 is logged in Operations Manager log. the script works out the exact date and time for the daylight saving time changes and approximate number of days from when the script was run. Note: for testing purpose, I have changed the AlertDayRange from 10 to 150 so the alert can be generated. In live environment, please be aware if you change the number to be greater than 14, you will be notified multiple times because the script runs once a week. For the same reason, if you change the number to be smaller than 7, you may not to get notified at all. How to change AlertDayRange to a number other than 10? 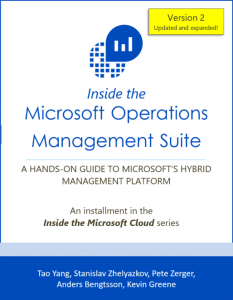 This management pack can be downloaded here. There are 3 files in the zip file. the XML file is the actual management pack (unsealed). the other 2 vbscripts are the actual scripts used in rule #1 and #3 for your reference. SCCM 2012 Beta 2 Installation error "Failed to write string -T8295 to registry on SQL Server"
Thanks for providing such MP and so badly I am not able to import the MP in SCOM and it says that the MP was not fully signed. can you email me the exact error? have you googled the error message? 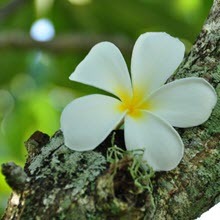 This is greate & working as expected..Please ignore above comment from Sriram. Thanks for your hardwork & innovation on this. Element Info with Identity DisplayString,ElementReference=67aa737d-5a87-0a53-f510-bc388f8ca2d1,LanguageID=ENA refers to an invalid element Folder_6e739dbef8bc4201a31b40c1784378dd. Element Info with Identity DisplayString,ElementReference=67aa737d-5a87-0a53-f510-bc388f8ca2d1,LanguageID=ENU refers to an invalid element Folder_6e739dbef8bc4201a31b40c1784378dd. Tao, do you have any management pack like this that monitors time skew comparing with the domain controller? No, I’ve never written anything for this purpose.